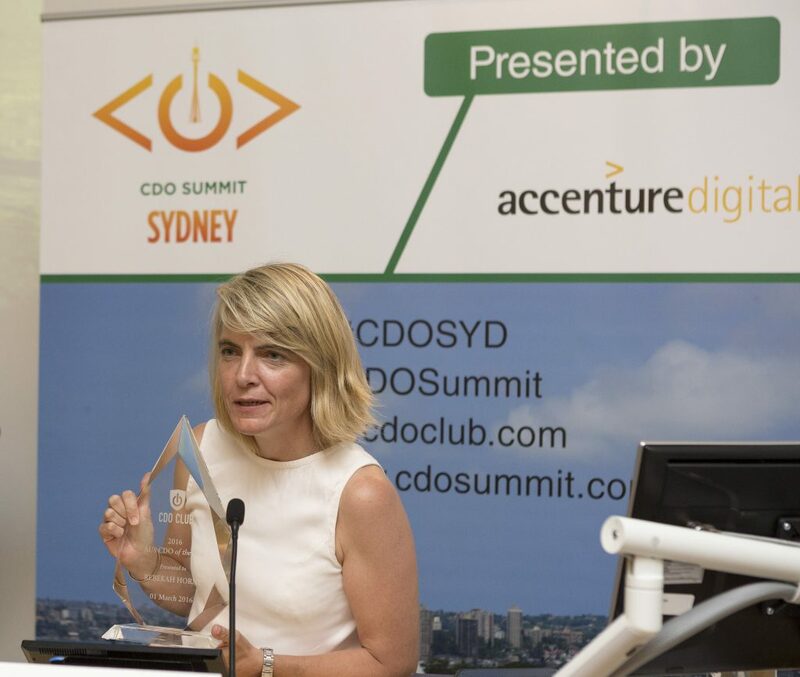 The CDO Club held its inaugural Sydney CDO Summit, presented by Accenture Digital on 1 March, 2016 at the UTS Business School. 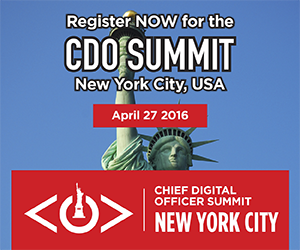 The CDO Summit addresses the challenges and opportunities arising from big data, the cloud, digital disruption, and social and mobile media. The event took place at a pivotal time for digital innovation in Australia, with digital-friendly government initiatives such as an unprecedented $1.1 billion AUD ($800 million USD) innovation investment, and the launch of the first-ever Digital Transformation Office (DTO). 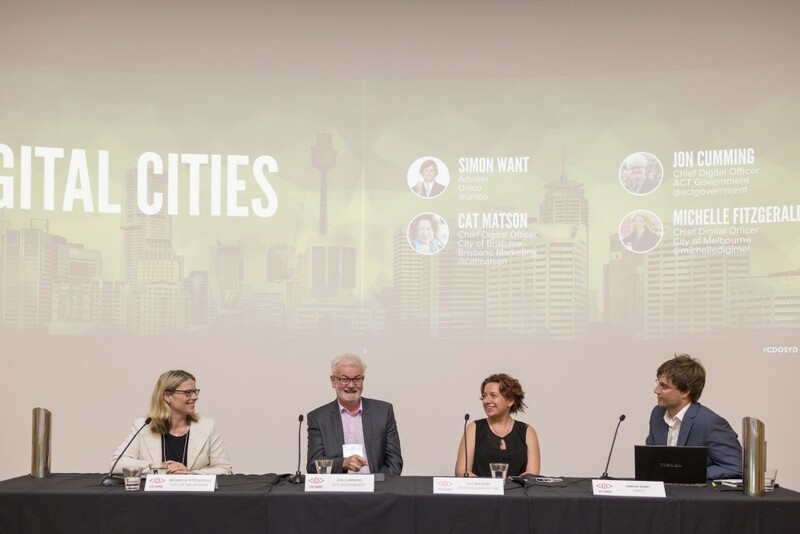 In addition, in a historic meeting, three Australian city government Chief Digital Officers shared the stage for the first time for the “Digital Cities” panel. According to original research by the CDO Club, the number of Chief Digital Officers (CDOs) doubled again in 2015, to 2,000 CDOs globally. And it looks like CDO hiring trend that started in the United States and Europe is now expanding into new markets, like Australia. Rebekah Horne, Chief Digital Officer at the National Rugby League (NRL), was named the first-ever Australian Chief Digital Officer of the Year 2016 at the event by the CDO Club. 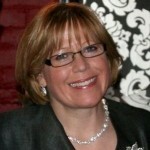 Horne was announced as the recipient of the award after participating in the “DNA of the CDO – Reinvention or Unique?” panel moderated by executive search firm Odgers Berndtson. Paul Rush, Partner at Odgers Berndtson, moderated the panel. Rebekah only joined NRL last month in the wake of a major new broadcast deal, but she has over 20 years’ experience in digital, telecommunications, mobile and media companies. During her previous tenure as CDO at Network Ten, Rebekah launched the Ten Play video streaming service, generating an average of 25 million page and 13.5 million video views a month. She helped grow digital revenue at the network by 74%. 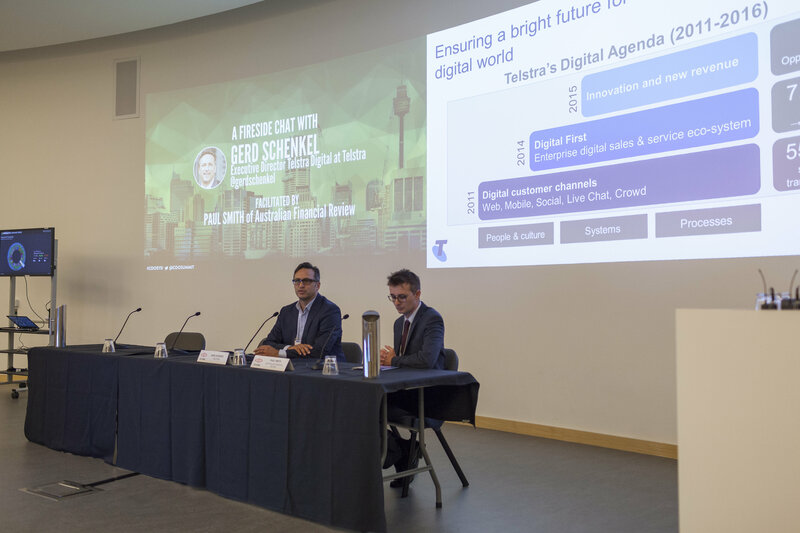 Featured speaker Gerd Schenkel, Executive Director at Telstra Digital, also caused a stir with his fireside chat session. 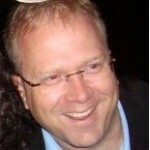 Not only did Schenkel discuss how he was able to provide superior digital services by openly engaging his audience, but he practiced what he preaches by including the audience at the summit. Other than a brief presentation, the majority of the fireside chat was a dedicated interactive session moderated by Paul Smith, Technology Editor at The Australian Financial Review. The Sydney CDO Summit was held at the UTS Business School in the iconic Dr Chau Chak Wing Building, designed by legendary Canadian-American architect Frank Gehry. 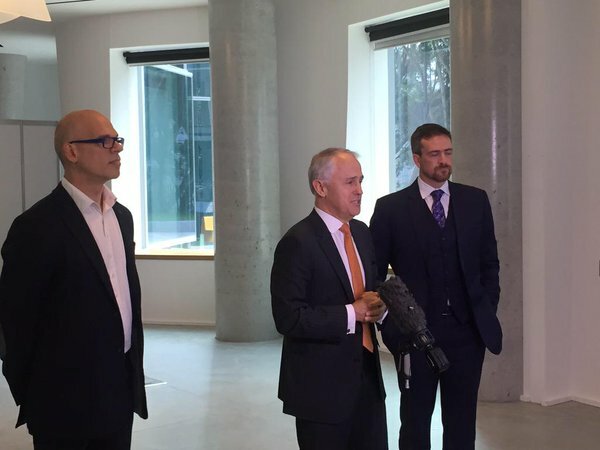 In August 2015, Paul Shetler and Australian Prime Minister Malcolm Turnbull met at the Dr Chau Chak Wing building to announce that part of the DTO’s staff would be housed on the University of Technology Sydney campus. Dean of the UTS Business School Roy Green introduced a lunch and breakout demonstration by Bem Le Hunte, Associate Professor. 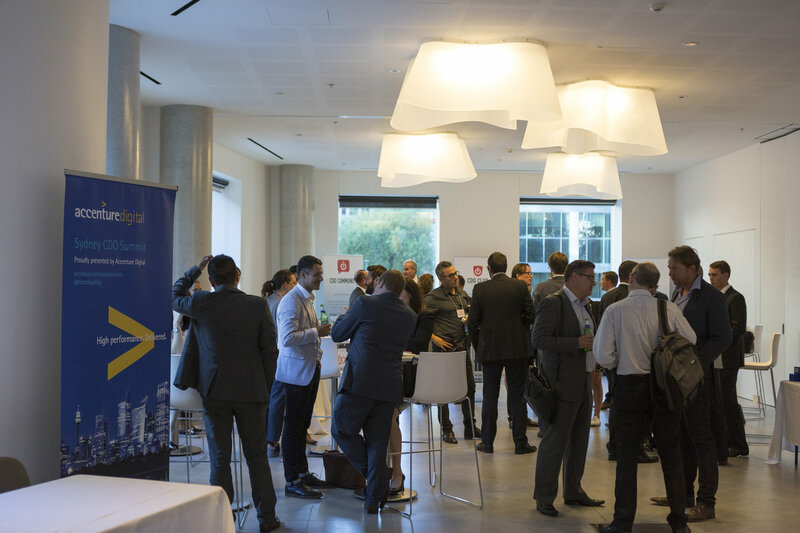 The Sydney CDO Summit was sponsored by Accenture Digital, Odgers Berndtson, and Unico. 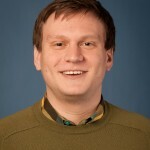 Adam Freier: Head of Digital and Wallabies Media at Australian Rugby Union Ltd.